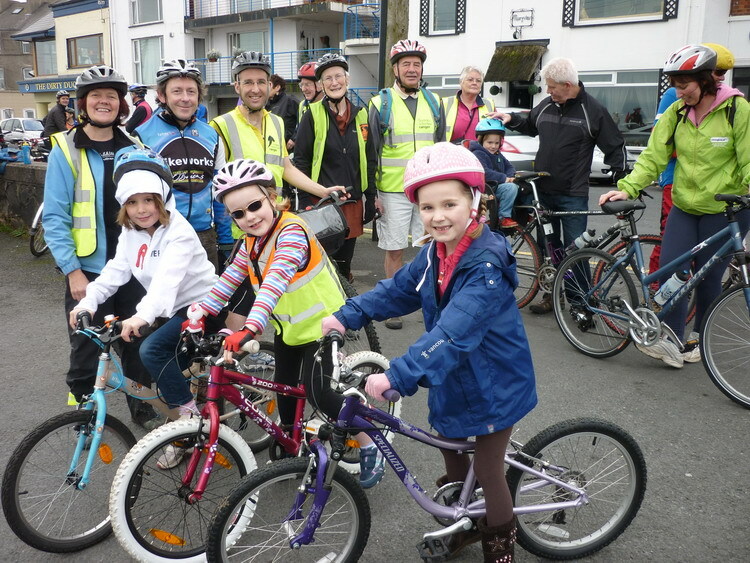 Cyclists from across North Down enjoyed a leisurely cycle ride from Bangor to Holywood and then the RSPB Bird Reserve at Airport Road, Belfast as part of the Bicycle friendly Borough campaign on Sunday 20 November with campaigners hailing the event as an overwhelming success. Supported by Sustrans and Friends of the Earth the ride was designed to raise awareness of the need to fully upgrade the North Down Coastal Path to accommodate cyclists and pedestrians. Commenting on the event, Mary Lappin from the Bicycle friendly Borough campaign remarked “Over sixty people participated in our Yuletide Seaside Birdhide Mince Pie Bikeride cycling along the North Down Coastal Path from McKee Clock to Holywood and then the Bird Reserve. We were particularly grateful for the MLAs and Councillors who joined us including John Barry and Andrew Muir plus the Mayor of North Down Cllr James McKerrow who gave his best wishes before we set off. Continuing, Mary stated “Cyclists found the newly upgraded section at Rockport very useful and were able to make their way to Airport Road via the newly opened gate facilitating cyclists and pedestrians between Kinnegar and the Harbour Estate. More work is however required to create a Greenway between Bangor and Belfast allowing pedestrians and cyclists alike to make their journey on a safe traffic free route. We therefore intend to request a meeting with Senior Officers at North Down Borough Council to find out more about their plans to upgrade the remaining sections”. I greatly enjoyed the Mulled Wine and Mince Pies kindly provided on arrival at the Bird Hide by Bikeworks Cycle Shop, Bangor and will continue to support this important campaign in the future. We urgently need to upgrade our cycling infrastructure to make it easier and safer for cyclists to travel from A to B.